I loooove strawberries! They are delicious! Baby girl wearing a cute strawberry beanie is even more delicious!! 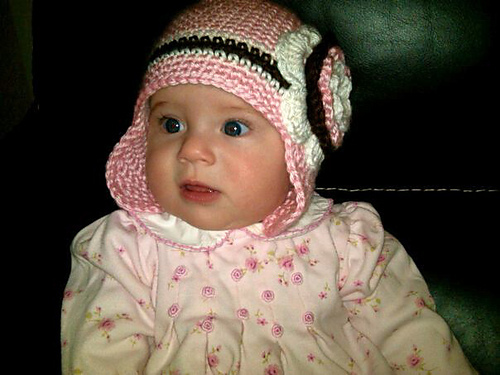 This is a free crochet pattern for a baby hat, strawberry beanie. This strawberry hat is worked from the top down. The white “seeds” are added as you go, so you don’t have to embroider them afterwards. Leaves are made separately and would need to be sewn on. Finished size(s): To fit an average 0-6 month old (6-12 month old, 1-3 year old, 3-5 year old). Finished Measurements: 14.75 (15.75, 16.75, 18.25)” hat circumference. Yarn: Worsted weight yarn in red, green and white. Sample Shown in: Lily Sugar ’n Cream (100% cotton; 120 yds [110 m]/ 2.5 oz [70.9 g]): red (MC), white (CC1), hot green (CC2), 1 skein each. Note on gauge: The hat is designed at a loose gauge to be cool and airy for the summer. To Create Seeds: With white yarn tie knots every 2-3 inches. 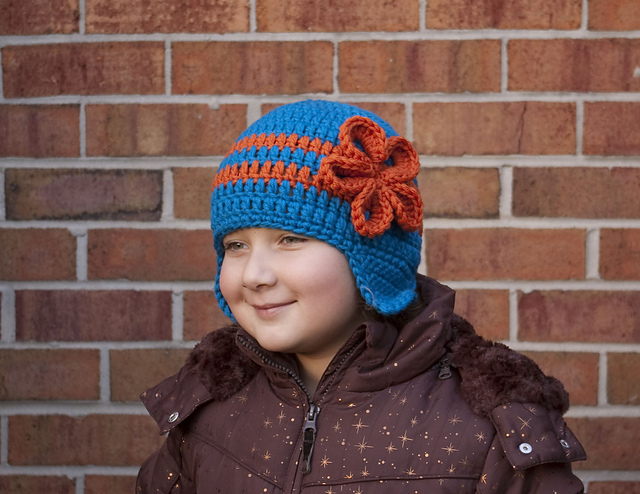 While crocheting the beanie, starting with round 4 and continuing every even round, hold the white yarn along the top edge of the previous round and crochet over it.